Hello Short Pump! We’re here for you. 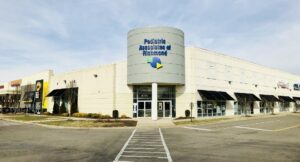 At Pediatric Associates of Richmond we strive to be as available to our patients and parents as possible. We know that parenting is challenging. After all, we’re parents too. Just when you think you get it all under control, things get out of control. Since you already have plenty of things to worry about, we make sure getting to your pediatric practice isn’t one of them. We’re excited to announce the newest addition to our family! The best part is that now we’re much closer to yours. More locations, fewer worries. What’s the address of the new office? What are the hours at the new office? Are there walk-in appointments available? No. As is the case with the other two locations, all office visits are by appointment only. However, we schedule same-day sick visits at each location Monday through Friday, and at the Three Chopt office on Saturdays. Should an extremely urgent matter arise we will make the appropriate accommodations to ensure your child gets the best healthcare possible. Will the hours at the Three Chopt and Bell Creek offices be changing? No, the extended hours at our 2 other locations will remain unchanged. Which doctors and nurse practitioners will be working at the new office? All of them. The doctors and nurse practitioners will rotate between the three offices, just as we have done for years with the Three Chopt and Bell Creek locations. Do I have to pick one location, or can I bring my child to any of the locations? On a given day, you may select any of our 3 offices based on convenience to home/work/daycare/school, that office’s hours, location of a preferred provider, or any other criteria you have. Will there be lactation consultants/support at the Short Pump office? Yes. We have built into the schedule for a NP/IBCLC to be in Short Pump most, if not all, weekdays. Additionally, as has been the standard at PAR, the office will include a lactation room. 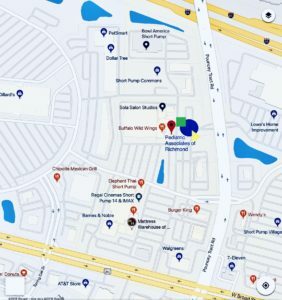 Will there be a lab at the Short Pump office? Yes. The lab will have the same resources and functionality as the Bell Creek office’s lab: urine, rapid strep, and rapid flu tests; and anemia screening (hematocrit) for check ups.